Experts agree that a healthy relationship between a charter school’s leadership and staff is an essential component in fulfilling the charter school’s mission. 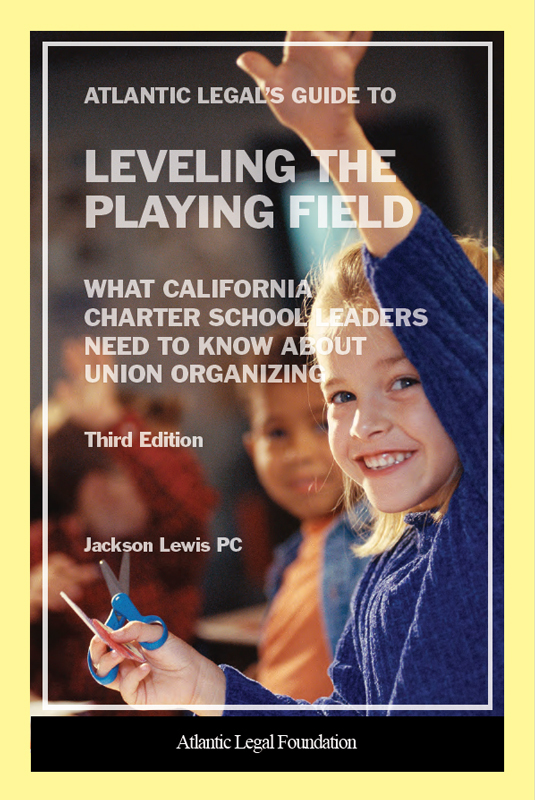 In this clearly written guide published by the Atlantic Legal Foundation for California charter school educators, attorneys from Jackson Lewis—a national employment law firm—review sensible management practices, explain how a union organizes employees for collective bargaining and spell out what the employer can lawfully do and what it cannot do in response. In addition, the authors describe how the collective bargaining process works in the public education arena. The Atlantic Legal Foundation's guide is an indispensable resource for trustees and administrators of charter schools. To get your complimentary copy, please contact the authors, Tom Walsh and David Allen. Tom can be reached at WalshT@jacksonlewis.com, and David can be reached at AllenD@jacksonlewis.com.